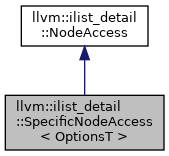 Definition at line 210 of file ilist_node.h. Definition at line 213 of file ilist_node.h. Definition at line 214 of file ilist_node.h. Definition at line 212 of file ilist_node.h. Definition at line 216 of file ilist_node.h. Definition at line 220 of file ilist_node.h. Definition at line 224 of file ilist_node.h. Definition at line 228 of file ilist_node.h.